THE MARTINI CHRONICLES: Building a Professional Wardrobe...The Basics! Building a Professional Wardrobe...The Basics! Greetings Divas! And welcome to another work week. I trust that you all enjoyed the long holiday weekend filled with turkey and shopping. While I did enjoy the turkey, I refrained from partaking in the shopping festivities. I’ll wait while you all gasp in surprise…… Instead of shopping this weekend, I seized the time afforded by the long weekend to go through my closets and gather items to contribute to the clothing drive at my mother’s church. As I sifted through my professional clothing, I found myself thinking back to my first job out of law school. Specifically, I remember what my professional wardrobe looked like…quite pitiful! I think I had just enough pieces to make it through my first two weeks, which required me to repeat certain pieces more than twice. I remember speaking to my mother, who gave me great advice on how to build my professional wardrobe. She advised me to purchase certain items each time I received a paycheck for the next six months. I listened, and I slowly began to build a great professional wardrobe. I started out with the basics and progressively built upon these staples. It was the best advice…thanks Boss Lady! My wardrobe has come a long way since I first entered Corporate America, but I always make sure I have the basics. 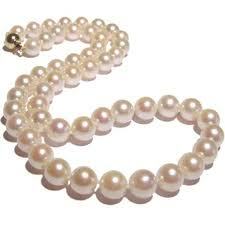 In fact, many of the items I purchase now for my wardrobe continue to build upon these staples. In the spirit of sharing, I thought it would be a great idea to prepare a few post discussing the act of building a professional wardrobe. Now, I don’t claim to be a fashionista, but I do know that there are a few things that every Professional Diva should have in their repertoire. In the spirit of sharing, here are the 10 basic staples every professional woman should have in her closet. 1. 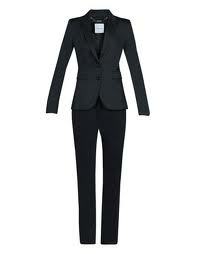 Complete Suit – Every Professional Diva need a complete business suit in Navy, Black, or Charcoal Gray. This suit should include a blazer, matching pants, and a matching skirt. This gives you the option of wearing a pants suit, or a skirt suit. If possible, try to snag the type of suit that allows you to wear the skirt and the pants as separates so that you can pair them with a shirt and/or a cardigan. Try to go for a suit made of light wool material, as this is the most versatile for the different seasons. 2. Sheath Dress – An impeccable sheath dress in a solid, neutral hue is a must! Try to score one in black, brown, or gray, and be sure that it fits your form without being too tight. 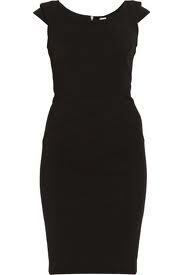 Also, a great sheath dress transfers well from day wear to nigh wear. By day, pair your dress with a blazer and classic pumps…by night pair your dress with colorful accessories and funky shoes. In either event, you’re good to go! 3. Black Skirt – Easy pick! Whether it is a pencil cut or an A-line, be sure to select a skirt that is knee length and made of light wool material. The best type would be one that you can pair with cardigans and button-down shirts. 4. Black Pants – Another easy pick! Be sure to choose classic, straight legged pants that fit comfortably. As with the other staple pieces, select a pair of pants made of light wool material. Like the classic black skirt, your pants should pair well with cardigans and button-down skirts. 5. 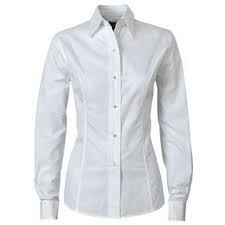 Button-Down White Shirt – Your shirts should be white, crisp, and have a collar. It should also be made to fit a woman’s body, and should be one that can be worn under a suit and paired with skirts, and pants. And be sure it is made from good material, like cotton. 6. Black Blazer – The perfect piece that provides a variety of options, the black blazer should be a staple in the Professional Diva’s wardrobe. 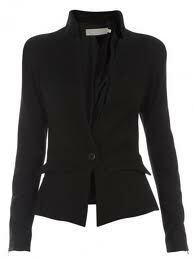 The blazer can be worn with dresses, skirts, pants, and jeans, which makes it the perfect accessory. Choose a blazer that is versatile and that fits comfortably. 7. Quality Blue Jeans – Every Professional Diva should have a pair of quality blue jeans in her closet. While blue jeans are not the traditional apparel for the office, there are situations where blue jeans are appropriate. Many offices have a “dress-down” or “casual” day where employees are permitted to wear denim. When these opportunities arise, you should have a pair of quality blue jeans that are neat and non-offensive. Your jeans should pair well with a blazer, a button-down shirt, or a cardigan. 8. Classic Trench Coat – You have to have it! 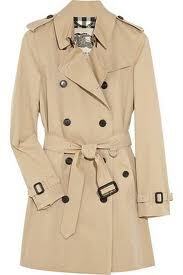 Every Professional Diva should have a classic trench coat to wear with her business apparel. The trench coat is the perfect accessory to complete your look and keep you warm. Try to snag one in tan, black, brown, or gray, and be sure that it fits over your clothing comfortably…not too big, not too small. 9. Classic Black Pumps – Black pumps are the go-to shoe for the professional woman, as they often match well with basic professional attire. You should score a pair that is high-quality and comfortable. 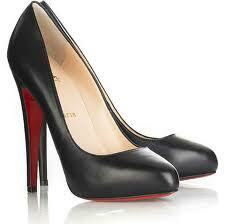 Your pumps should be closed toe, and should have a 2 to 4 inch heel. What are some of the staples in your closet? What item(s) would you add to this list? monetary system straight in fell round that the business organization proprietor will invariably find themselves cornered inside. buy food market for home, unfinished home rent payment, assembly fulminant medical expense, assets card dues and so on. There are dozens of requirements the amount of money even if with zero approval. No recognition confirmation is done as it adds rate in this kind of loans. borrowers such as Google Adsense and Clickbank. cash in to a bank informing of an idiosyncratic. and fast approvals given productive in granting you loan without any related. execute some high as compared to else types of advances. Sort Term Loans give impermanent financial support of money, AND KEEP YOUR CAR.